As aviation plays a major role in socioeconomic development, countries with strong economic growth emphasize the development of their aviation industry, which is now in the process of sustainable and rapid development in several aspects including air transportation safety, airport development, airline development and management, aircraft maintenance and regulation enhancement. In the industry rapid network growth, aircraft technical development, regulatory framework evolution and economic constraints call for the improvement of aviation staff capabilities and skills. In order to respond to these challenges, ENAC in cooperation with IMA (Aeronautical Maintenance Institute, University of Bordeaux) and IATA have developed an Advanced Master program in Aircraft Life Management and Maintenance. Advanced Master Degree in Aircraft Life Management & Maintenance issued by ENAC, recognized by French Ministry for higher education. Program proposed by world-class aviation institution. Program courses delivered by ENAC leading faculties and experts as well as by professionals from top International aviation companies. Part-time learning program designed for professionals. The Advanced Master Program in Aircraft Life Management and Maintenance is a part-time program designed for professionals with one 5-day intensive module per month for one year. The theoretical part is followed by a practical phase in industry. It aims to improve not only the technical and regulatory skills of Technical Engineers and Managers but also to provide the business models and the commercial background of the Maintenance Market. The graduate will have a concrete view of the international Aircraft Maintenance scene and its principal actors with a focus on their respective market. They will be able to manage projects in Aircraft Maintenance Organizations, Airline Engineering Organizations, Training Centres and MRO Service Providers. They will be able to acquire the knowledge and skills which will be the basis to further a successful career. Provides the basic principles which drive the Worldwide Maintenance industry with a special focus on the local market. Provides a close look at the Regulatory environment applicable to Civil Aviation and to maintenance activity. An introduction will be given to the International regulatory bodies from which all National Regulations originate with a focus on local requirements. Provides the basis of the aircraft maintenance program and its principles and processes. Supplies examples of the various documentation that results from these processes, giving a comprehensive approach to the Aircraft Maintenance Program. 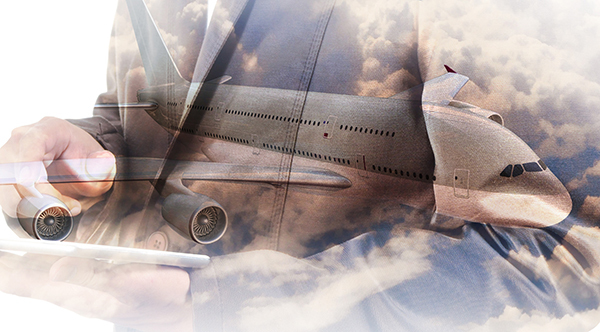 Provides a complete overview of reliability aspects related to aircraft operations. The reliability program has become an essential tool for all airlines, not only because it is required by the Aviation Authority. When systematically followed, this program generates consistent improvements in «on time» operations also allowing cost reductions due to scheduled and unscheduled maintenance. Increases student awareness of flight safety risks generated by the operation of an aircraft maintenance task. Students will be familiar with the latest Safety Regulations and the effect of Human Factors on the Safety for Maintenance activity. Lastly, students will understand the role of management in the transmission of Safety culture via their commitments and the enforcement of Safety related procedures. Provides a global and up-to-date understanding of the various maintenance markets. Studies different types of actors and associated business offerings, as well as their contractual modes. Finally, future changes to the industry due to the emergence of new technologies and continued traffic growth will also be described. This module will provide a complete overview of aspects related to aircraft operator engineering management. Typical functions of the airline engineering department will be analysed together with typical activities: preparation and management of the maintenance program, maintenance scheduling and follow-up, reliability program and service bulletin evaluation and management, and C of A management. Enables the student to understand the methodology of aircraft Maintenance and Overhaul which includes Line maintenance as well as hangar maintenance in combination with home base and line station events. The module also presents the organization and structure of an MRO facility. Provides a close look at processes and infrastructures for the Training of Pilots, Flight Attendants and Mechanics. The students will be introduced to applicable regulations, current and future tools used for training and the increasing role of multimedia technologies. Provides a detailed study of the typical Customer Support Organization of an aircraft manufacturer and major suppliers such as engine OEMs. The students will be introduced to the main processes and the typical Services provided to Customers including future trends in the market. Students will also become familiar with the tools and infrastructure of a support organization. In each module theoretical knowledge will be consolidated by practical exercises developed in teams and coordinated by experienced senior professionals from the field.